Socks and Puppets, the comic » 346 – Sometimes the joke Styx. 346 – Sometimes the joke Styx. 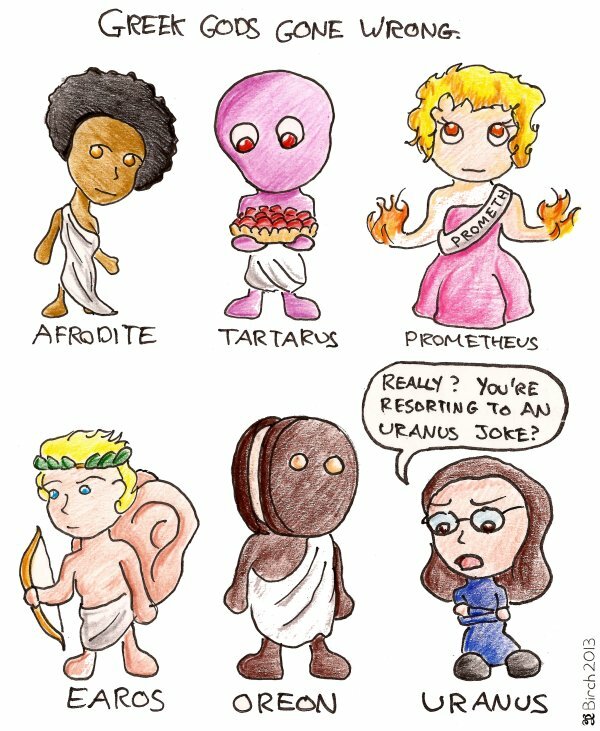 Technically, as this is referring to the god Uranus, rather than the planet Uranus, this is a new joke.